Syrian National Coalition leader Moaz al-Khatib today visited rebel-held areas in Aleppo Governorate to strengthen ties between the main opposition and rebel fighters on the ground. Khatib entered northern Syria from Turkey and toured the towns of Manbij and Jerablus. 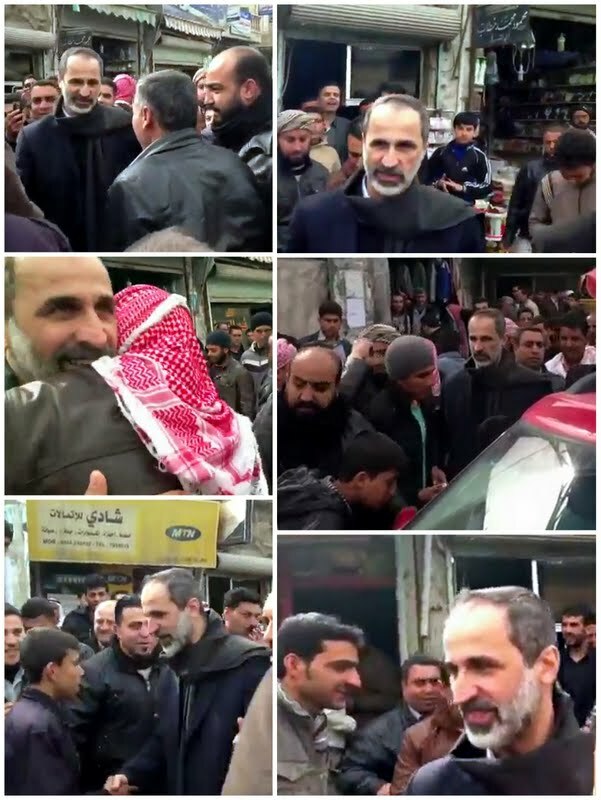 His visit came on the day rebels captured large parts of a Syrian police academy near Aleppo city, after a fierce battle resulting in heavy loss of life. Almost 200 fighters had been killed on both sides over eight days, according to the UK-based activist group the Syrian Observatory for Human Rights (SOHR). -- The Syrian National Coalition said in a statement “massive” assaults had been launched by regime forces against the central city of Homs and the strategic Damascus suburb of Darayya, which is held by the rebels.